Hyper Training allows you to increase your Pokemon's IVs after reaching level 100. This guide shows you how to do Hyper Training in the game. 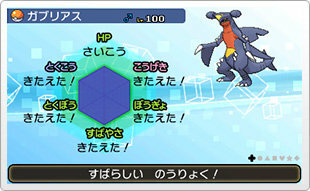 In Pokemon Ultra Sun and Moon, Hyper Training allows players to maximize your Pokemon’s Individual Values (IV) after reaching level 100. This feature was first introduced in Pokemon Sun and Moon, and is retained in the sequel. A Pokemon’s performance in battle is determined by the six battle stats, namely Attack, Defense, Special, Special Attack, Special Defense and Speed. Each of these stats is affected by a particular IV which caps at 31. When a Pokemon reaches the level 100 cap, it may not have maximized all of its IVs. This is where Hyper Training comes in. After clearing the game (you must beat the Alolan Pokemon League Champion), you’ll need to bring a special item called a “Bottle Cap” to Mr. Hyper on the second floor of the Hau’oli City shopping center. Your Pokemon also need to be level 100 for them to be able to undergo Hyper Training. Bottle Caps can be obtained throughout the game, though you can also obtain them through special promos and events. We will be updating this page when we discover new information in Pokemon Ultra Sun and Moon.